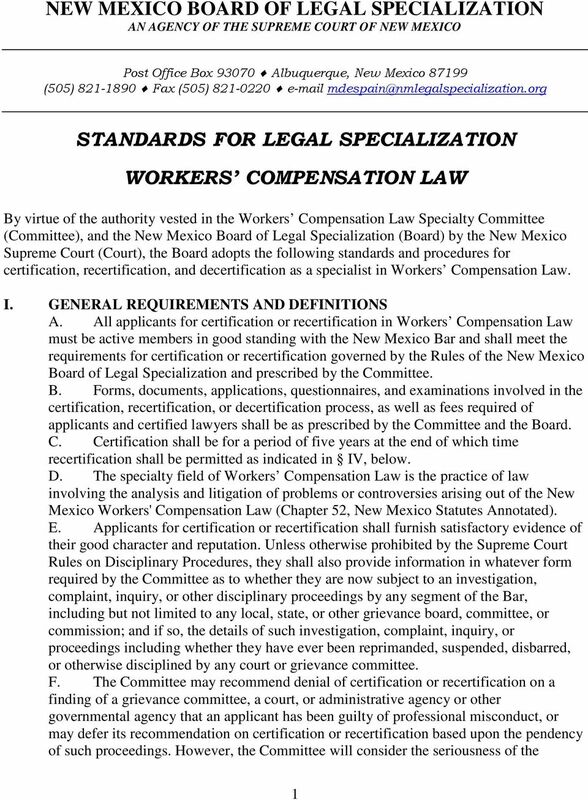 Download "NEW MEXICO BOARD OF LEGAL SPECIALIZATION AN AGENCY OF THE SUPREME COURT OF NEW MEXICO STANDARDS FOR LEGAL SPECIALIZATION WORKERS COMPENSATION LAW"
STANDARDS FOR ATTORNEY CERTIFICATION OF THE TEXAS BOARD OF LEGAL SPECIALIZATION. The Standards for Attorney Certification are divided into two parts. 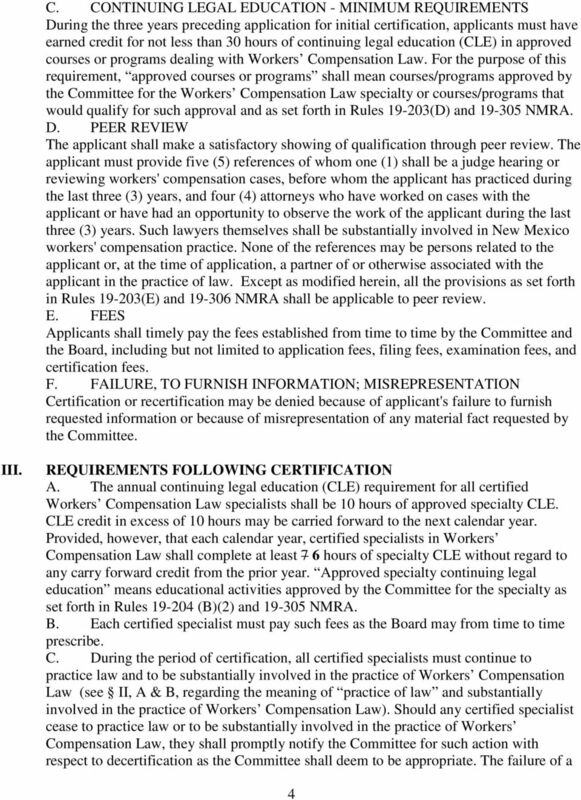 Application for Admission to Limited Practice as Attorney Under APR 8(g) Exception for Military Lawyers APPLICATION INSTRUCTIONS: Enclosed please find a copy of Rule 8(g) of the Admission to Practice Rules. Rule 1A:8. Military Spouse Provisional Admission. Rule 82.1 Who May Appear as Counsel; Who May Appear Pro Se Only members of the bar of this Court may appear as counsel in civil cases. Only individuals who are parties in civil cases may represent themselves. 1103 1104 1105 1106 1107 1108 1109 1110 1111 1112 1113 1114 1115 1116 1117 1118 1119 1120 1121 1122 1123 1124 1125 1126 1127 CHAPTER 20. FLORIDA REGISTERED PARALEGAL PROGRAM 20-1. PREAMBLE Rule 20-1.1. MCKINNEY'S NEW YORK RULES OF COURT COURT OF APPEALS PART 521. RULES OF THE COURT OF APPEALS FOR THE LICENSING OF LEGAL CONSULTANTS. (c) Admission Without Examination of Members of the Bar of Other Jurisdictions. 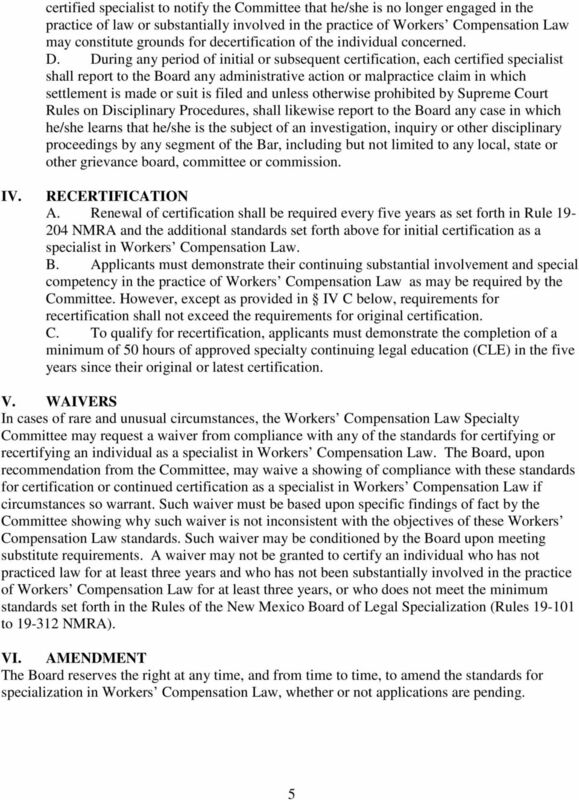 SCR CHAPTER 31 CONTINUING LEGAL EDUCATION SCR 31.01 Definitions. In this chapter: (1) "Board" means the board of bar examiners. (2) "Committee" means a panel comprised of at least 3 members of the board. 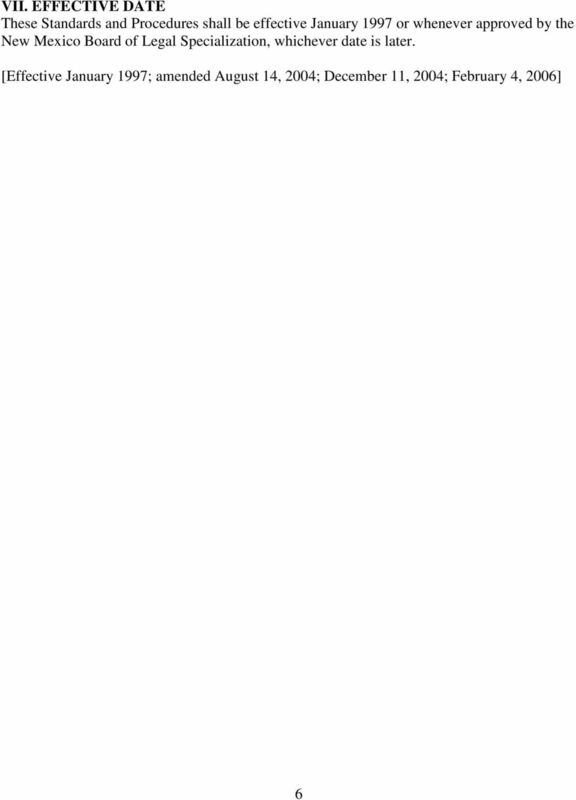 Rule 214. Attorneys convicted of crimes. (a) An attorney convicted of a [serious] crime shall report the fact of such conviction within 20 days to the [Secretary of the Board] Office of Disciplinary Counsel. DESIGNED PROTECTION SM FOR LAW FIRMS APPLICATION FOR LAWYERS PROFESSIONAL LIABILITY INSURANCE NOTICE: THE POLICY FOR WHICH APPLICATION IS MADE APPLIES ONLY TO CLAIMS FIRST MADE DURING THE POLICY PERIOD. 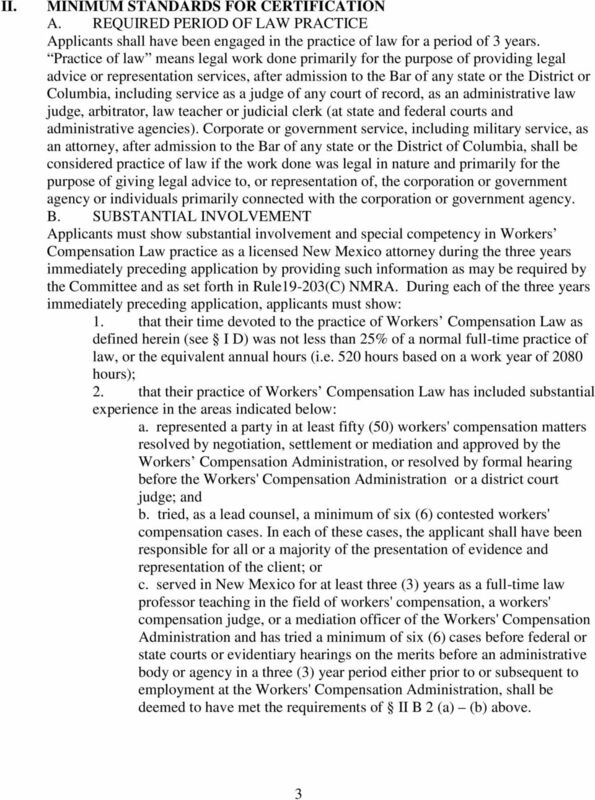 ADVOCATE FORM A Fellow of the College of Labor and Employment Lawyers has provided this form to you as part of the process of nominating you for membership in The College of Labor and Employment Lawyers. 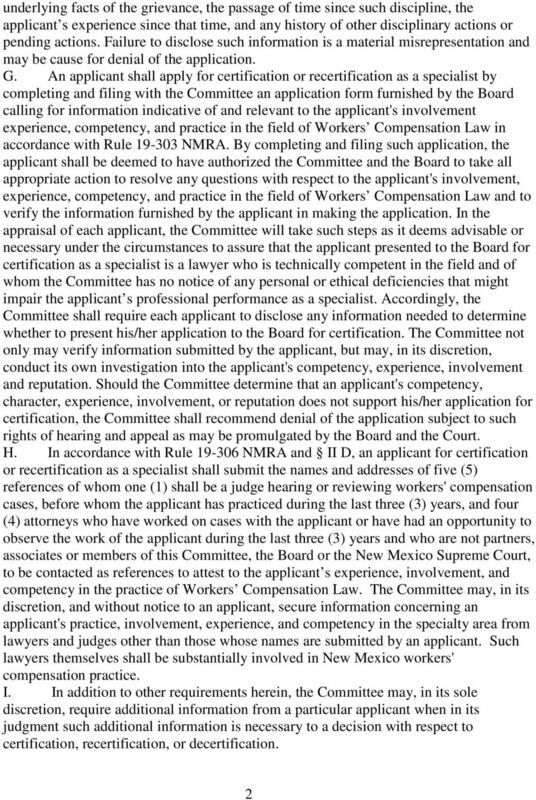 28 Texas Administrative Code Chapter 127 - Designated Doctor Procedures and Requirements Link to the Secretary of State for 28 TAC Chapter 127 (HTML): http://info.sos.state.tx.us/pls/pub/readtac$ext.viewtac?tac_view=4&ti=28&pt=2&ch=127. Certification I. Certification Required Chapter 290-5-26-.17 provides for certification and de-certification of septic tank contractors, inspection personnel, pumpers, soil scientists and maintenance personnel.